As taken on Park Place yesterday May 23rd, 2015. Those of you, gentle readers, who are familiar with Greek architecture will understand why I find this amusing. 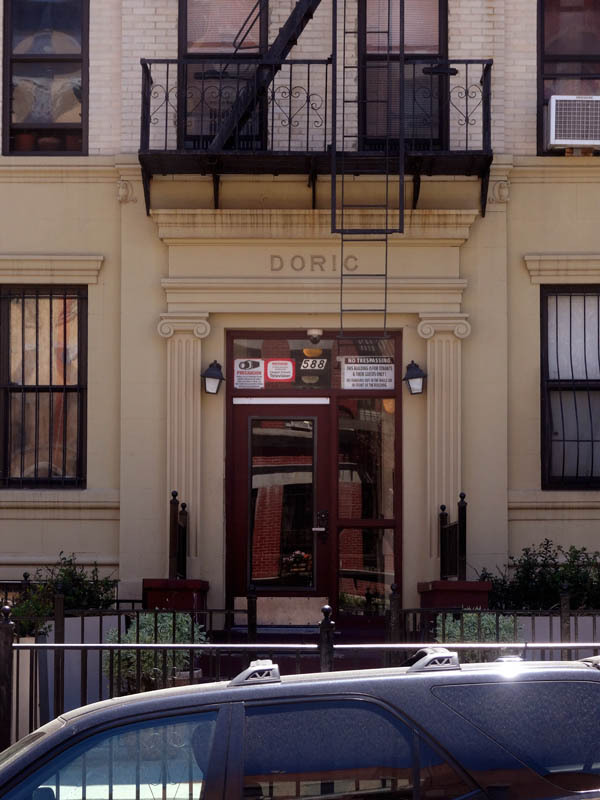 For those who do not: I can only hope there is another apartment building somewhere called the “Corinthian” sporting Ionic columns. As far as “capitals” go, I prefer Carolingian myself.